YEREVAN, Armenia – This month, the American University of Armenia (AUA)’s Office of Alumni Relations and Career Development organized a series of job orientation meetings for AUA students. 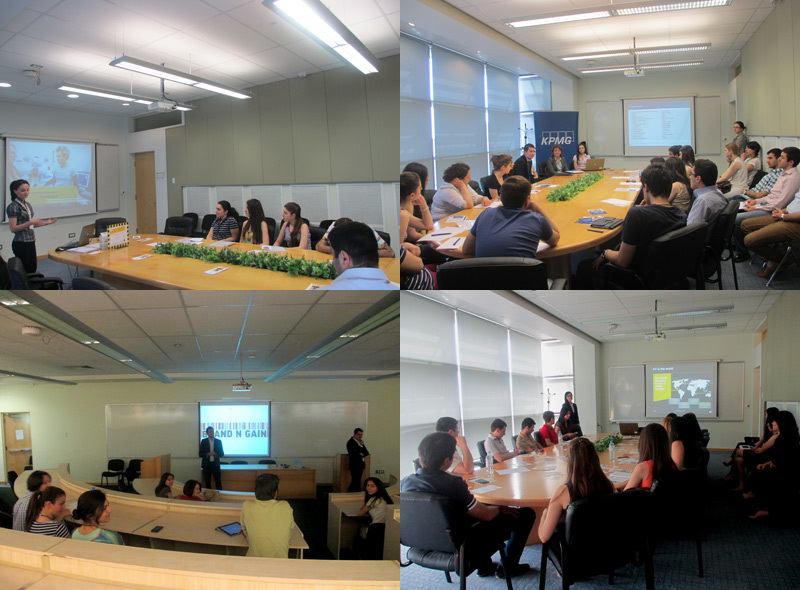 Representatives from KPMG, EY Armenia, Beeline, and Brand ’N’ Gain presented paid internship and employment opportunities to graduating students. Students also learned about corporate culture and the structure of these organizations, and were given a unique opportunity to pose questions to representatives of each company. Based on a series of surveys conducted by the Office of Alumni Relations and Career Development, such events are a valuable opportunity for students who are preparing to enter the job market, with many students securing jobs as a direct result of these orientation meetings. The mission of the AUA Office of Alumni Relations and Career Development is to develop, coordinate and promote programs for our alumni to keep them connected and involved with the AUA and one another, and to create a culture of philanthropy by encouraging alumni to contribute their time, talent, and resources to the advancement of the University. The career development function of the Office of Alumni Relations and Career Development is to contribute to career achievements of AUA graduates through enhancing their job finding skills. Additionally, to provide job placement services to students/alumni and develop strong and tangible links between employers and the university, to allow for the Office of Alumni Relations and Career Development to support and assist students and alumni in their professional development.